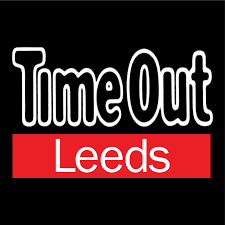 Please note this establishment is now closed - you can still find them in Trinity Leeds and The White Rose Centre. 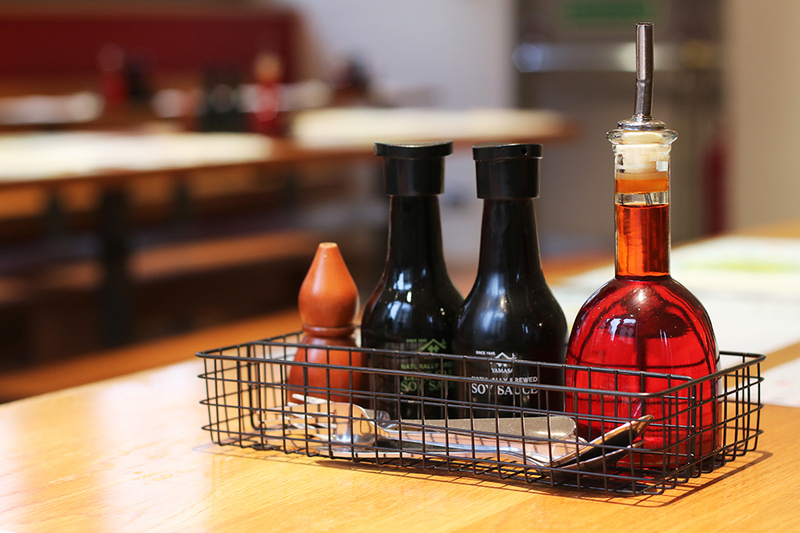 I am a big fan of Wagamama and as far as chains go it's one of the good ones. I have never had a bad or disappointing meal at any of their branches, and the branch I visit the most? 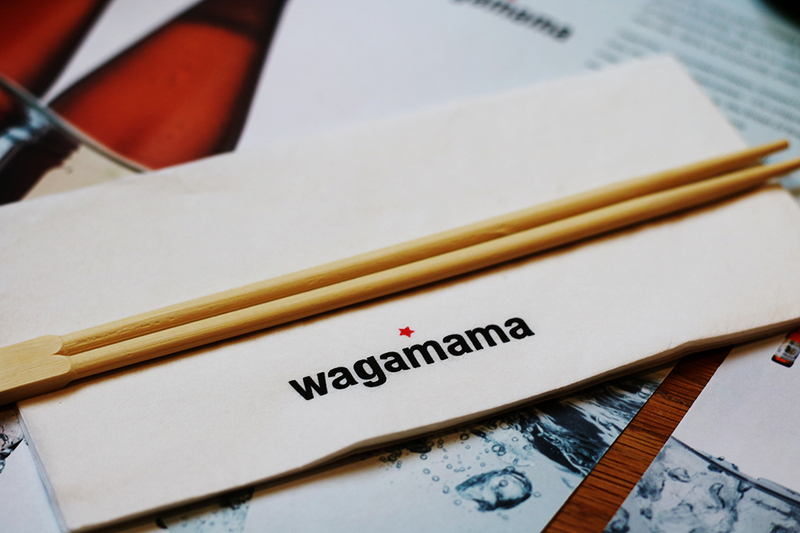 The Wagamama on Park Row, it's close to work and in a quieter arm of town on the weekend. 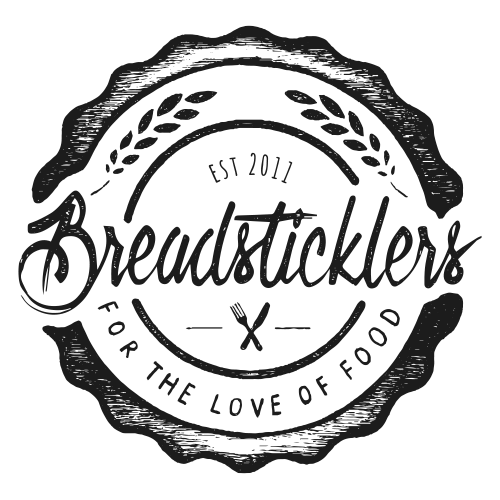 It fits a multitude of needs from working lunch to shopping snacks to birthday meals, it caters for all. I was invited by Wagamama to come and help them celebrate their 10th anniversary on Park Row. As I visit Wagamama so frequently it's never appeared on the blog and I've also got myself in to a Wagamama rut. I always order the same thing, occasionally deviating from the norm on drinks but never on the food. For me, Wagamama has the best chicken katsu in town, and probably not just Leeds town, I can't find any other place that does it so well. Chicken katsu is a big favourite of mine and I crave it a lot so when the opportunity comes to visit Wagamama I just can't help but order it. I know, I am a disgraceful food blogger. 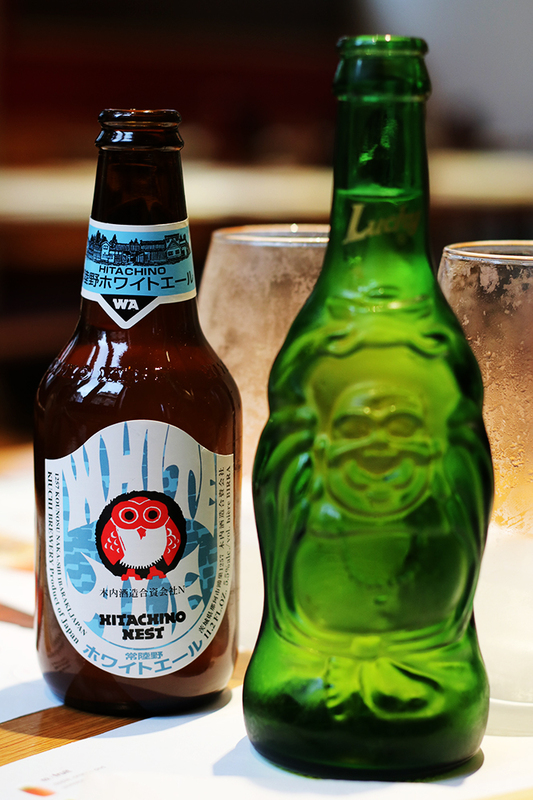 I explained this to Michael who was serving us that evening and he said that due to this I was 'barred' from ordering chicken katsu. So I put my full trust in Michael (as did D) and let him order for us (spoiler he was a good guy to trust). 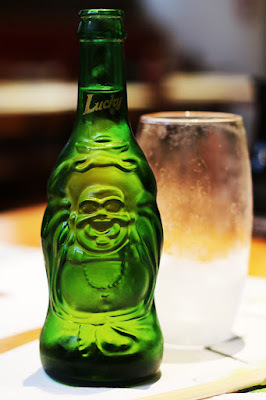 For drinks I ordered the 'Lucky Buddha' is a beer brewed in China with rice, you can't taste the rice but it's incredibly refreshing and pairs well with spicy food. Plus I love the bottle, isn't he the happiest little bottle of beer you have every seen?! D opted for the Hitachino Nest a Japanese beer with this particular variety being brewed with oranges, again you can't really taste the oranges (unless you really really try) but it has an orange tint to the beer. At 5.5% it's a pretty strong beer but refreshing all the same. To nibble and start until our mains came D ordered a batch of wok fried greens and I took Michael's recommendation on the chilli squid. I suspect that D had spotted the broccoli on offer and couldn't resist (he's such a broccoli tart). 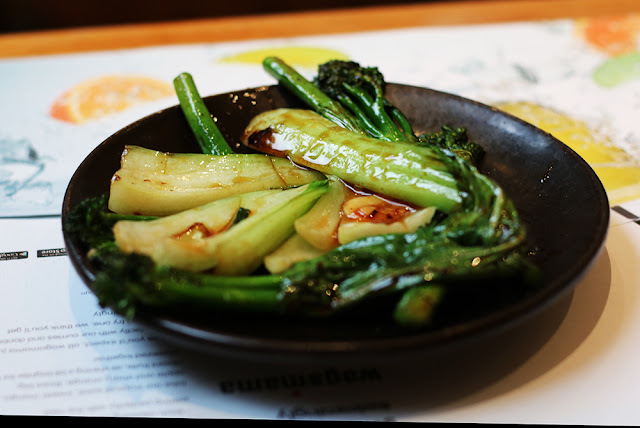 A simple but delicious dish, alongside the broccoli is bok choi cooked in soy sauce and garlic. A little slippery to eat with chopsticks but D conquered it without it paying a visit to his lap. I rarely order a starter at Wagamama but when I do it's usually the gyoza, I haven't met anyone who doesn't look a Japanese dumpling but it was time for a change. Michael advised that the chilli squid is one of the most popular items on the menu, kind of shocking therefore that I had never ordered it. I can confidently saying that my Wagamama routine had left me disadvantaged, if I had carried on in the way I always had without Michael there to break me out of it I would have never had the joy of these perfectly cooked little darlings. 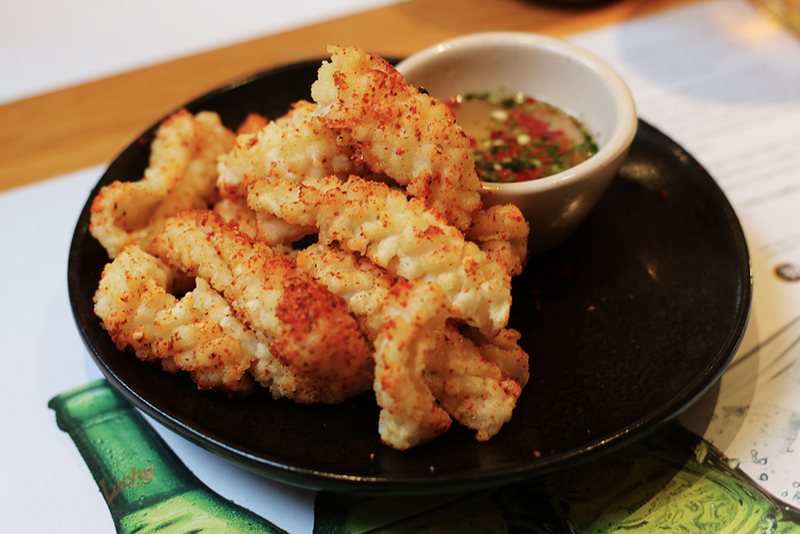 Can you call fried squid a darling? Even D liked them and D doesn't like anything from the sea (as side from cod at the seaside and only if it's deep fried and battered), I was also surprised that he tried one (after much coaxing). Win win for the squid. 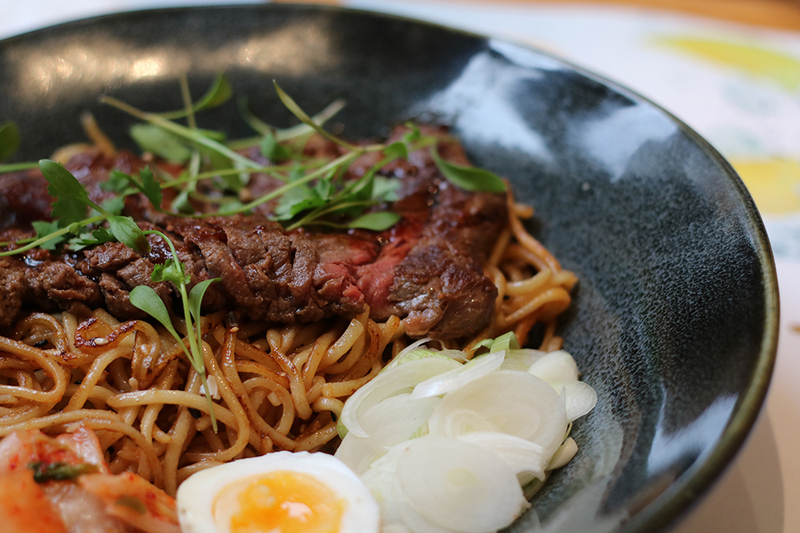 D took Michael's recommendation of the steak bulgogi, the steak is cooked medium and served with noodles, kimchee, a tea stained egg and fresh vegetables. Steak and noodles? Was Michael trying to steal my chap? These are D staple foods, or at least when he has to cook for himself, albeit I've never seen him put them together in one dish. I was granted a mouthful and I can confirm that it definitely tasted as good as it looks in the picture below. I agreed to try the recommendation of Duck Donburi a chefs special currently featured on the park row menu. 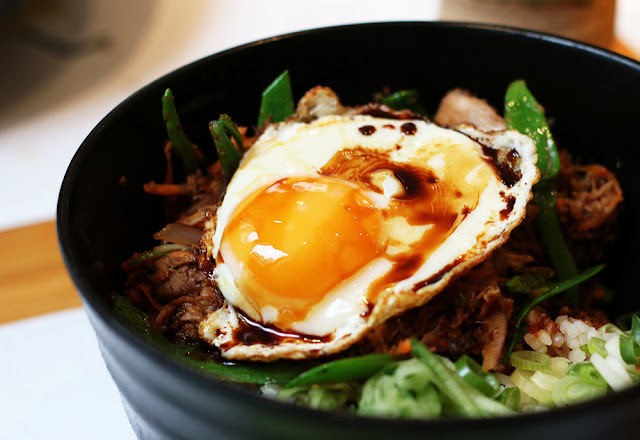 The shredded duck marinated in teriyaki sauce lies on top of a bed of rice alongside shredded carrots, pea shoots, onions and topped with a fried egg. I was beginning to think the chef was after my heart when this little beauty was placed in front of me. The duck was perfectly cooked, the egg crispy round the outside with a runny yolk just how I like it, the yolk seeping down in to the duck and the rice. Bliss. This dish is served with the Kimchee on the side in a separate pot, for what reason I'm not sure, I'd recommend tipping it straight in and stirring it up with the rest of the dish. Then again, I can't get enough of Kimchee at the moment I could probably eat it with most things. I always find Wagamama to be a filling meal (hence why I don't often order a starter), it's not a bad thing, those bowls (which are new by the way) are filled to the top and you can't leave anything, it would be close to criminal. However, this didn't stop D wanting dessert and we agreed to share. 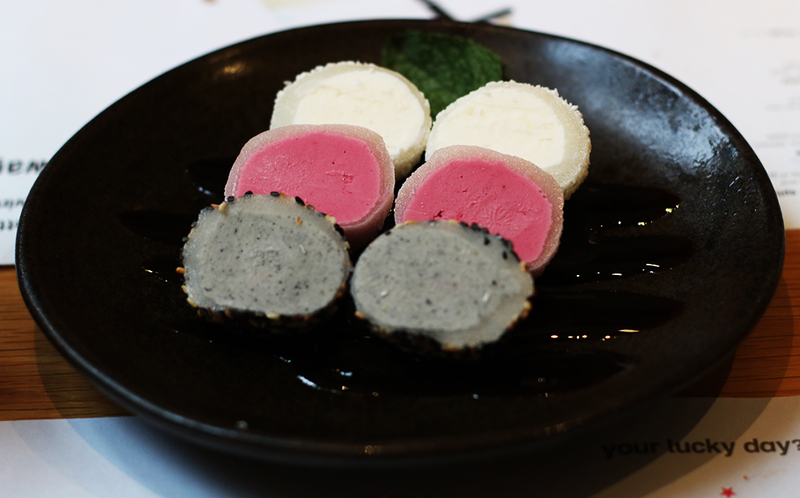 Once again we took the advice of the staff of Wagamama and ordered the Mochi ice cream. We opted for the 'mixed up' version which would give us a slice of each different variety. It's probably the neatest ice cream I've seen in my life. Slices of ice cream are circled by a layer of stick rice and served with a dribble of sauce. The flavours include raspberry, coconut and sesame. I was sceptical, having had a similar dessert at Yo! Sushi recently and finding that it didn't really float my boat. It was however rather pleasant, the flavours were strong and the sesame version was truly delicious despite preconceptions. My only difficulty with the dessert being that due to my overly sensitive teeth I struggled to eat it, I have to let ice cream warm and dissolve in my mouth as any slight touch of something so cold on my teeth leaves me in agony... which makes it rather difficult to eat when the ice cream is circled by sticky rice.